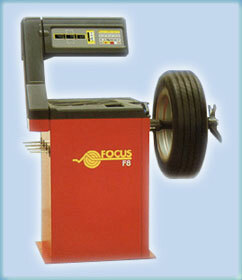 Digital electronic wheel balancer, with microprocessor and LED display. Equipped with wheel guard, 4 different balancing programmes for alloy rims including alloy "S" and is self calibrating. Gross weight with std. acc.